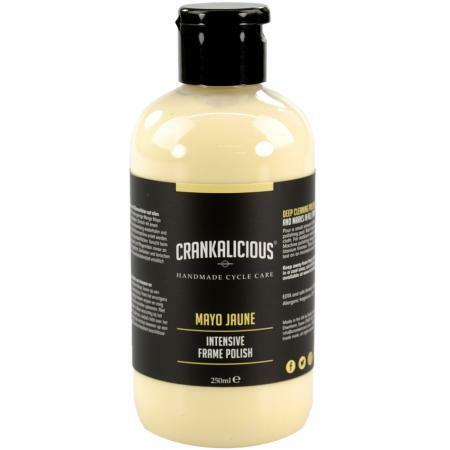 A deep cleaning polish and glaze, Mayo Jaune from Crankalicious is an Intensive Frame Polish for removing scratches, scuffs, and marks in glossy painted finishes on your frame. No matter how careful we are, our bikes all end up with marks on their frames. Whether from transporting, during a ride, or even those marks you don't know where they came from, it's frustratingly inevitable, but now easily remedied. 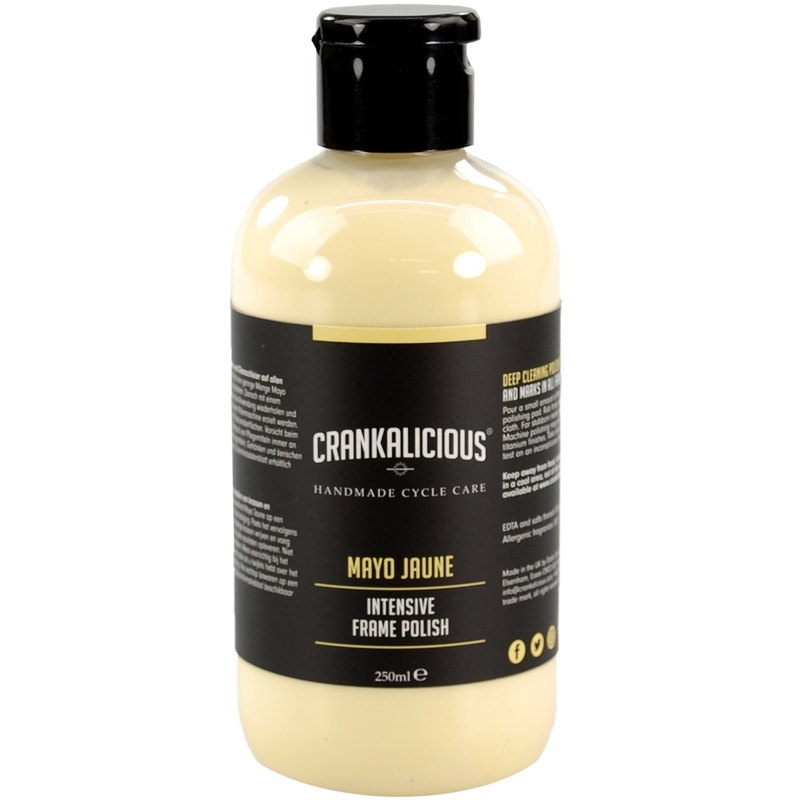 Mayo Jaune is designed to remove those small, light marks and leave a polished, clean finish. Available in either a 100mL or 250mL bottle. Do not use on matt or naked carbon/titanium finishes. Take care when cleaning stickers/decals. If unsure of results, test on an inconspicuous area first.